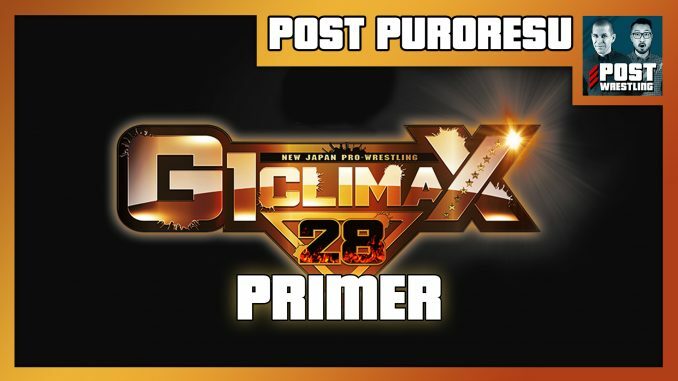 Wai Ting and WH Park present their NJPW G1 Climax 28 Primer in this special edition of POST Puroresu. Designed as a crash course for new viewers and a refresher for long-time fans, this podcast highlights all 20 participants and their storylines heading into New Japan’s most prestigious tournament. WH Park shares his predictions, Top 5 most anticipated matches, Top 5 “sleeper” matches, as well as his thoughts on the G1 Special in San Francisco. Plus, answers to our patrons’ questions about the G1 Climax from the POST Wrestling Forum. Show your support for POST Wrestling by becoming a patron and receive all of our additional content, including bonus shows covering every night of the G1 Climax.